Oh so cute! Now I need it's companion that is decked out with Christmas lights. A GREAT addition to me bird house fence! Because it has nice detail, it would make a great gift. I, however, am keeping this for my birds in my garden!!! Painting is better than expected.This is part of a wedding gift box for a couple building their own teardrop camper. 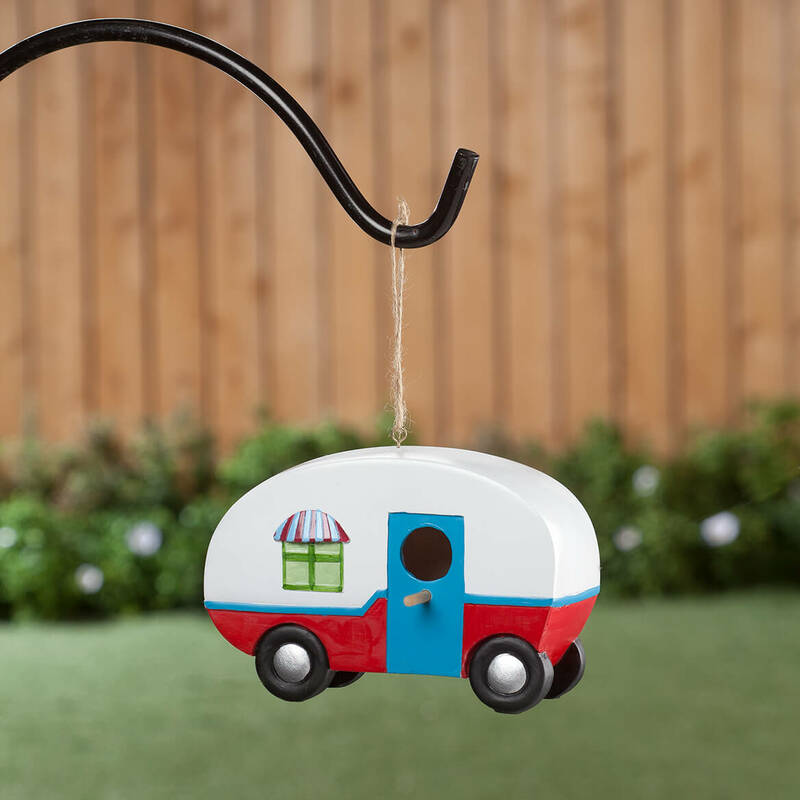 It will be a fun addition to the lights and birdhouses they already have in the back yard trees. It's perfect! Bought for a friend. Haven't given it to her yet because she's in Florida for the winter. Will give it to her in the spring. Looks like good quality though. I am doing different types of birdhouse and I thought this would be great to put into the collection. I thought this would look cute in my yard. my boyfriend wants a camper so I'm giving him one. Cute and well made for the price. Purchased enough to make a "campground" of them. To put next to the camper when we go camping. 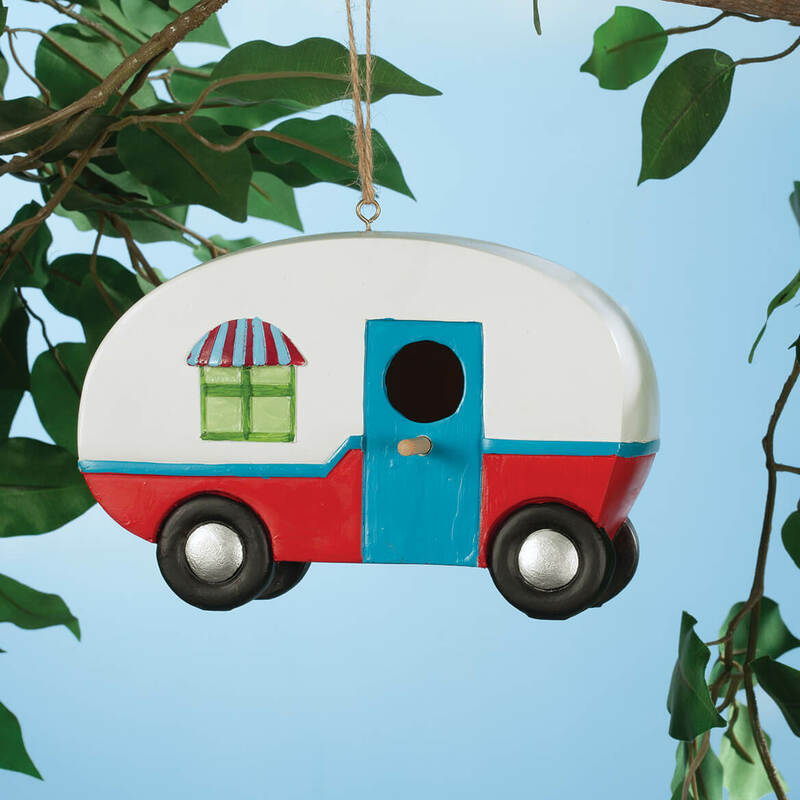 Because we love camping and that is a cute camper. Does it have a cleanout? 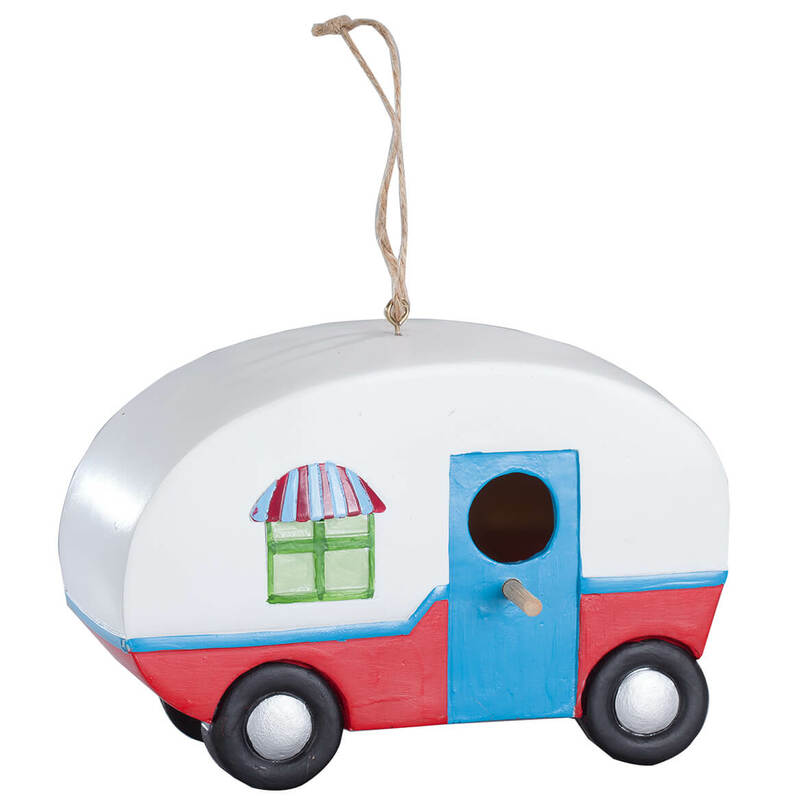 BEST ANSWER: This birdhouse does not have an opening for cleaning out debris.